A fairly common, poetic, and I think accurate description of good, fresh uni (aka sea urchin gonad), is that it tastes of sea foam. But as a young shaver, the first I ever put in my mouth, at a New Orleans sushi bar, prompted an involuntary gag reaction that sent me straight to the restroom (to the utter disgust of the chef). I'm appreciative of that texture now, but those who aren't—and those who are even a bit leery of caviar—might like to take a look at bottarga di muggine. That's the salted, cured roe of the gray mullet, produced most famously in Sardinia (though made elsewhere). 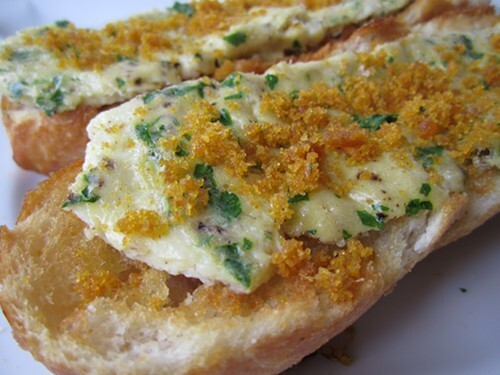 Last month blogger Mark S. of From Belly to Bacon happened upon Sardinian bottarga at the great Randolph Street Italian sundries and sandwich shop J.P. Graziano. It isn't cheap, but the pair of four-inch amber colored lobes, coated in beeswax and weighing in at about four ounces, sell for a mere $35 in the store ($52 online). That's an incredible value. The first time I ever had it, grated over pasta at a swanky but stuffy restaurant in Rome, the dish alone probably cost close to that. What to do with such a thing? Phillip Foss once went a little crazy, and I've run across relatively complicated pasta sauces using it with red wine, tomato, pancetta, and other boldly flavored ingredients. Rein in the impulse to go that route: a little bit little goes a long way. While the flavor is not subtle—deep, and briny, with a desirable metallic twinkle (like certain east-coast oysters)—Mark and others have the right idea. 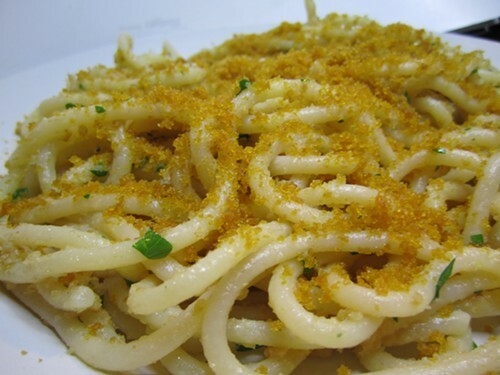 Sprinkle it over spaghetti, with a little lemon, red pepper, and parsley, maybe some bread crumbs to enhance the pleasing texture of fine particulate on pasta. Or just eat it on bread. The Oxford Companion to Italian Food suggests pounding it into a paste with oil, lemon, and pepper and spreading it on crostini. But accept no substitutes: "A cheap version of this is a widely known travesty of taramasalata," says the OCIF. "Made with smoked cod's roe, which works well enough if homemade, but the synthetic pink commercial version is disappointing and no substitute for that made with real bottarga . . . "
Lakeview cooking instructor Viktorija Todorovska follows up her Puglia cookbook with one on the food of Italy's second largest island.